As people count down the days until the ECMAs get underway in Charlottetown program director Jim Power is putting the call out for volunteers for Radio ECMA. "100 hours, 100 performances, all of course 100 per cent east coast music," he said. Radio ECMA broadcasts non-stop online and is set up near a stage in the main lobby area of the Delta. "On average we need about 14 to 18 volunteers. It is always good to have a little bit more on the volunteer side just in case people can't make it," Power said. It is a chance to interview some of the finest musical artists the region has to offer and to be in the middle of all the action and excitement of the ECMA event. "We've had a great team of volunteers in our past and we're calling out for volunteers now. So anyone in the past who has volunteered for Radio ECMA and who is interested please put your hand up," Power said. The theme of Radio ECMA this year is 15 minutes of fame, artists who appear will be given that time to perform. "It's a preview of that artist. A very quick preview preview of two tunes so you can go and enjoy a showcase performance elsewhere." Power's involvement with Radio ECMA happened by accident, he said. In 2011, he was walking down a corridor and the radio kiosk was set up there. "This young guy named Mac Campbell was the leader of Radio EMCA at the time," Power said so he asked him what was going on. Power said Campbell told him to take his coat off and get behind the table. "And that's how the introduction literally happened." 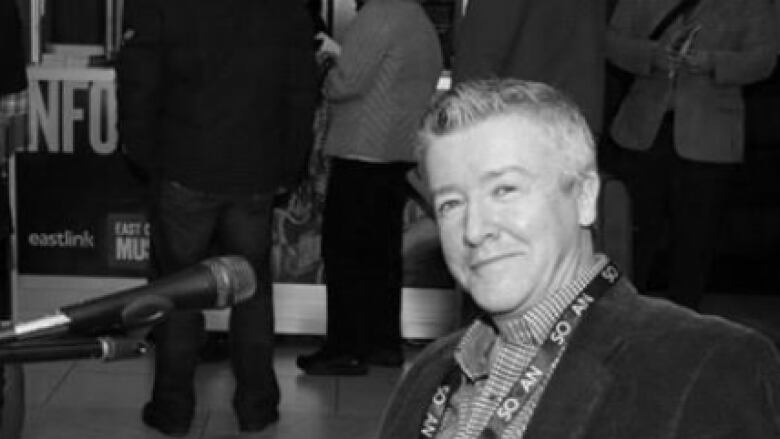 When Campbell, a CBC broadcaster who ran Radio ECMA, died Power inherited it, he said. Radio ECMA was created on Prince Edward Island. "We are back here in Charlottetown this year, and it is exciting to be back here," said Power. Charlottetown is playing host to the East Coast Music Association conference and awards this year from May 1-5. The radio portion will begin noon on May 1 and run the full duration of the awards and conference. The shifts for Radio ECMA are three to five hours and experience is not necessary. Power was never trained to be a DJ. "Anyone can do it. It is just about being friendly, enthusiastic, energetic and loving music," he said. Currently there are only six DJs to cover the workload. If you wish to volunteer you can sign up at the ECMA website.